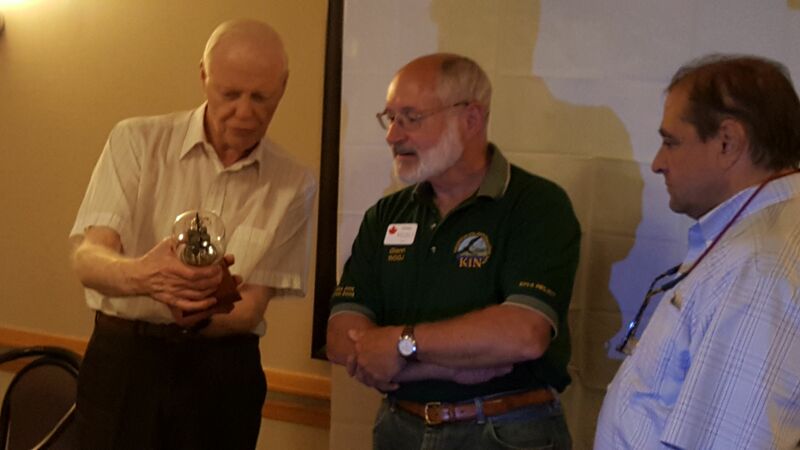 Tuesday June 9th – our little radio group had a special visitor come all the way up from the states to give us a presentation on his involvement in the K1N Navassa DX-pedition. We were also joined by friends from Alberta and the northern states by other interested DXers. A hearty buffet was available – and most strapped on the feed-bag prior to the presentation. Glenn gave us a very interesting presentation on the scope and size of the effort needed to co-ordinate/plan/execute such an endeavor. I took in the presentation — and the subsequent following presentation. Excellent presentations and content and our group was well represented. A small fundraiser was provided by a couple of donations – and a key donation from Glen on a ‘rock’ of petrified bird droppings with K1N etched in it fetched a hearty amount to help the group. Thanks to those who organized and supported the meeting – was great to hear. Thanks for all the co-ordination guys — I was glad to attend.